We keep getting asked: “is Townfolio data just census data?”. The answer is, no. Our platform goes so much deeper than just Census data. This post breaks down how we’re so much more than Census, as well as how to utilize our custom data on our platform. If you’d like to view a webinar we did on Townfolio custom data, click here. Launching Townfolio our focus was creating software for economic development (EcDevs) and automating the community profile. EcDevs wanted our help to better engage their website visitors, to please businesses and site selectors searching for data and to eliminate their pain points of acquiring, updating and visualizing data. Although we stick to our roots, we’ve grown to be so much more. The community profile alone, although considered a document for economic development and investment attraction, is also used for research, funding allocations and business decision making. Over the past few years at Townfolio we have, of course, interacted with all city departments (from leadership to city managers, to economic developers, to planners and beyond). However, we have also had a diverse range of visitors from academics conducting research; non-profits allocating funding; real estate developers and businesses trying to make informed decisions and banks trying to make better lending decisions, all the way to immigrants trying to decide where to move, to citizens trying to better understand their community and students trying to finish a school project. The world of city data is absolutely massive – there is so much data on our municipalities hanging out online and even more, sitting on dusty shelves or locked away in a content management system, waiting to be used. As much as this creates opportunity it also creates confusion. So we decided to keep it simple (at least initially 🙂 ) because data can overwhelm those who aren’t familiar. A very standard practice for Townfolio is to collect municipal tax rates (mill rates), building permit data and business license data. These datasets are especially important for business decision making. Taking building permits as an example, seeing this data quarterly or annually can be an effective measure of economic health. We collect this data directly from municipal or economic development clients and visualize it. 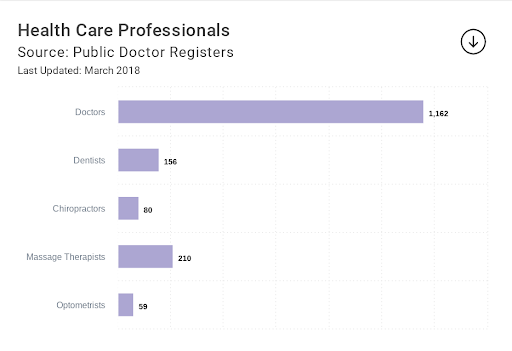 We track dozens of provincial databases of healthcare professionals across Canada (the US coming soon) to provide the number of healthcare professionals in a city, town, or county. The above chart might look simple, but we’re actually live tracking five different databases just to create this one chart. Some of our clients in Canada and United States feel as though Census demographic data may not be the best representation of their community, so we can customize this. 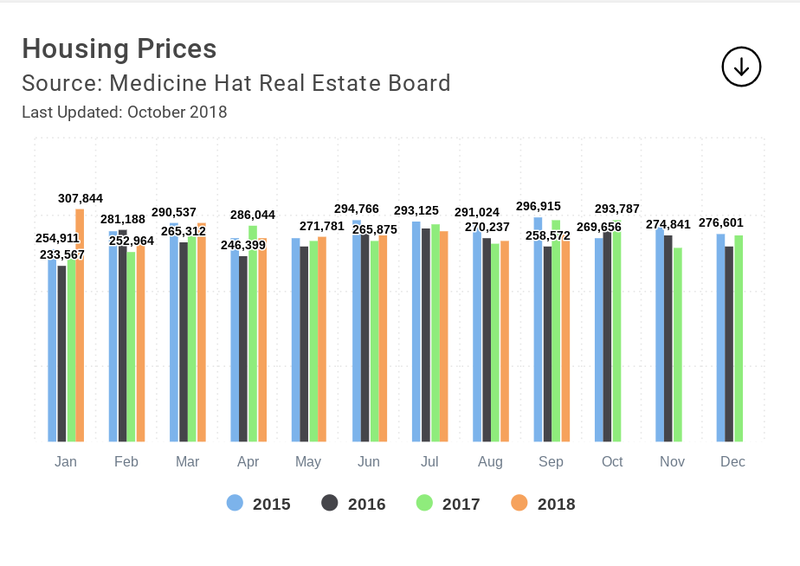 The above chart showcases the population of Martensville, SK. 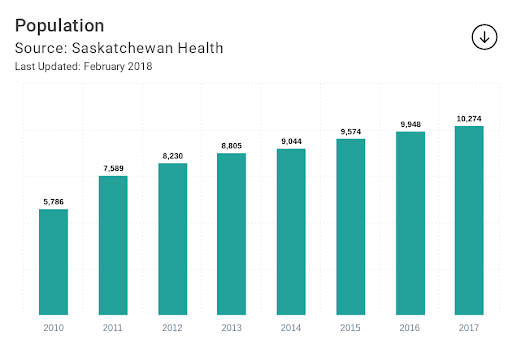 The city felt that the annual health population data was a closer representation to their current population. 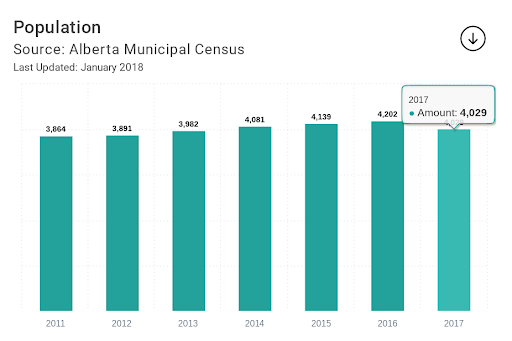 Another example (above) worth showcasing is municipalities who collect a local census in this case, Raymond, AB, we used their municipal census data in place of census data for their profile. 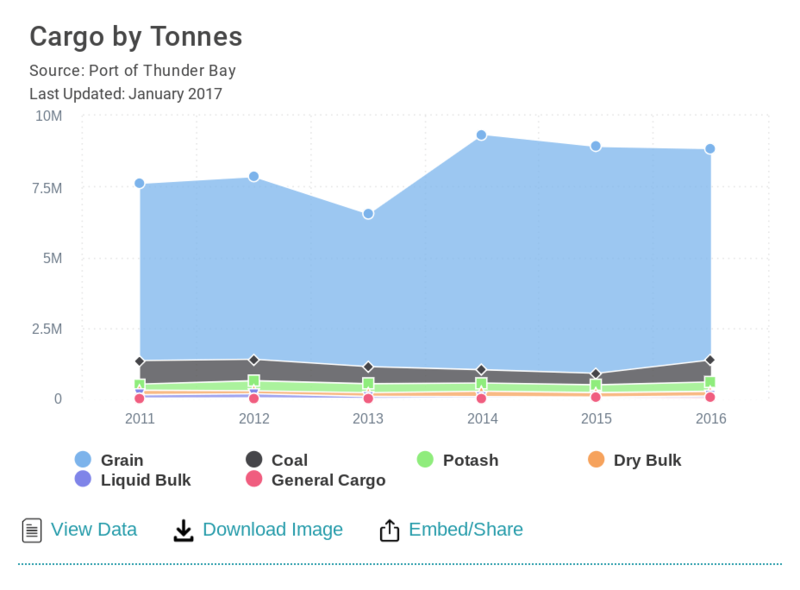 Being a port city, Thunder Bay valued having port data visualized and added that to their profile. Labor force (or labour force in Canada 🙂 ) data is always a hot topic as is major employers – these are two areas where we have also helped clients in the past. 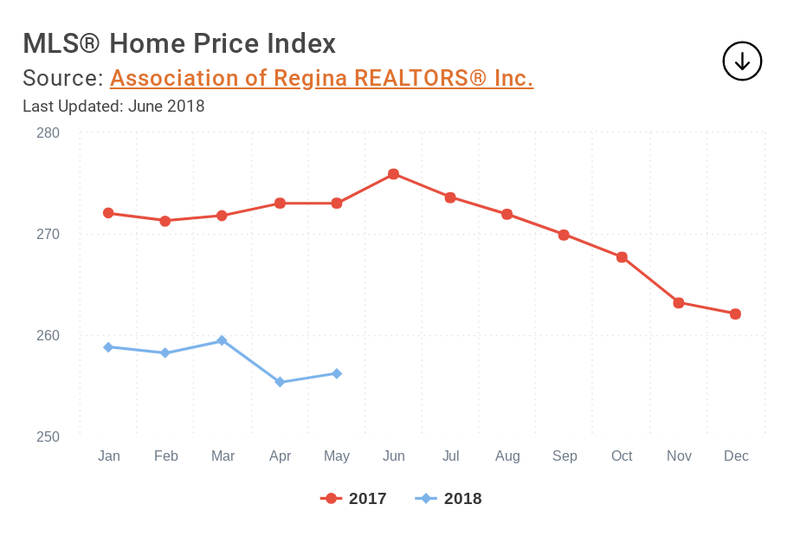 For clients who have purchased third-party data whether that be demographics or otherwise, if you have the rights, we can add this data into your Townfolio. Of course, this isn’t always just about economic development data, we serve all city departments, NGOs, non-profits and government agencies. A great example would be the city planning dashboard below. Townfolio worked with the city, the city police, the health region and the school district to bring in current and historical data to make better data-driven decisions. Please note: Any data showcased on the Townfolio platform will always integrate right into your website embed. The embeds we offer for external websites always auto-update whenever our data does. So what’s next? Well, our data acquisition is never-ending. We’re now able to offer projections on our data, we’re looking to add in deeper industry data and increase our integrations with private companies. If you have recommendations, custom requests or would like a copy of our data sources, please reach out! Want to learn more? Get in touch with us here, or visit JoinTownfolio.com and book a demo.